Bobbin Holder for Free Motion Quilting and Hand-look Quilt Stitch. This bobbin holder is preset with a lower tension to make it easier to achieve even tension control while free motion quilting. 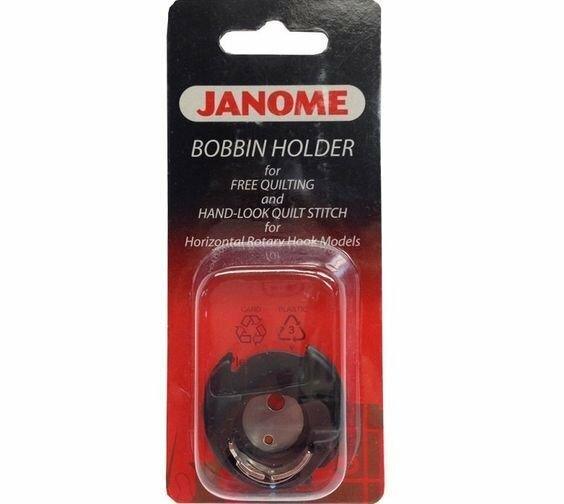 This bobbin holder creates appropriate tension for free motion quilting and hand-look quilt stitched. The blue mark is for easy identification.